Egyptian President Abdel Fattah El Sisi issued a presidential decree to comply with the African Charter on the Rights and Welfare of the Child on the matter of child marriage, making it illegal for Egyptian citizens to get married before the age of 18. The decree also removed Egypt’s reservations on articles 24, 30 (e) and 44, which deal with adoption, imposing death sentences on the mothers of children and communication, respectively. The African Charter on the Rights and Welfare of the Child, which was adopted in 1990, outlines the rights African countries are expected to ensure for their children. 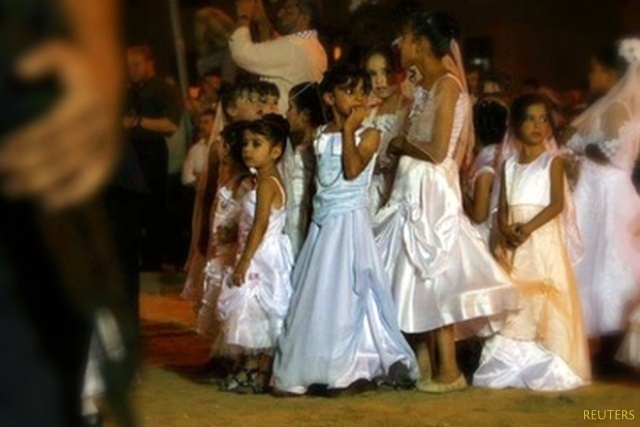 Child marriage remains a common practice in Egypt, particularly in underprivileged areas, despite a 2008 law increasing the legal marrying age to 18 for both males and females. Prior to the law, the minimum age for females was 16. In August, Egypt’s then-Minister of Population Hala Youssef said that child marriages account for 15 percent of all marriages in Egypt. According to a study published by the National Council for Women in 2013, 22 percent of girls are married before the age of 18. Egyptian girls are often married off temporarily in exchange for a sum that is often arranged by the parents and the temporary husband. One of the common ways to ‘sell girls’ for temporary marriages is through ‘marriage brokers’. Marriage brokers take girls as young as 11 from underprivileged Egyptian villages to wealthy Arab visitors. A one day ‘pleasure marriage’ can be arranged for as little as EGP 800 (USD 100). The sum is then split between the child’s parents and the marriage broker. Summer marriages, however, have become more common and can be arranged for costs ranging from EGP 20,000 (USD 2,500) to EGP 70,000 (USD 9,000). In a 2013 statement, Egypt’s Child Anti-Trafficking Unit at the National Council for Childhood and Motherhood condemned child marriages as prostitution. According to Al-Arabiya, the Director of the Unit said that some girls had been married 60 times by the time they turn 18.